A just published national report shows that in Alabama revenue from Indian gambling is growing at record speed, however, revenue from non-Indian gambling keeps falling. A newly published national report shows that once again Indian gambling revenue in Alabama has grown. 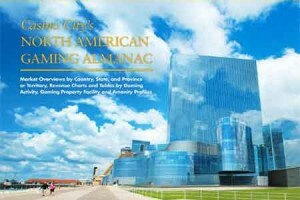 The Casino City’s North American Gaming Almanac contains 740 pages of statistics which examine gambling trends in vast detail. The report shows that in 2011 total gambling revenue in Alabama grew by 25%, the biggest increase of any state. The growth was mainly due to Indian gambling operated by the Poarch Creek Tribe. Indian gambling revenue grew by 26.4% in 2011 and Alabama led the nation for the fourth consecutive year. Vin Narayanan, the editor-in-chief of the almanac said that Indian casinos were thriving as they don’t fall under state laws. Hence they have grown while Alabama shuts down non-Indian casinos such as VictoryLand in Shorter. Revenue from non-Indian operations, mainly dog tracks, fell by 2.4% in 2011 continuing a downwards trend that started in 2000. According to Narayanan the “Indian casinos have no impact on that.” Instead he explained that dog tracks are a dying business as the audience is aging and doesn’t have the disposable income it once did. Will the Newport Casino Get The Overhaul it Needs?